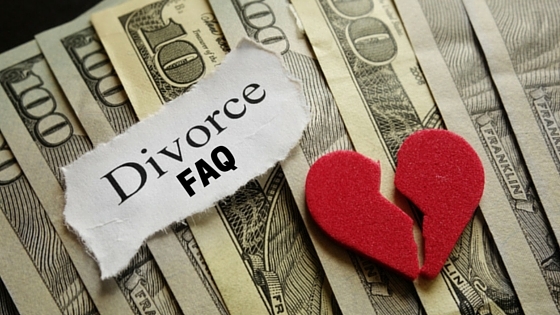 Filing for divorce means facing a lot of unknowns. Divorce marks the end of your life as you knew it and the start of an entirely new chapter. Not surprisingly, many men and women facing divorce have a lot of questions about the process and what their lives are going to look like after everything is finalized. Our experienced divorce attorneys in mid-Missouri are here to help you understand the process and alleviate any concerns you may have. 1. I Want A Divorce. How Do I Get Started? In order to get a divorce in Missouri, you must first file a petition for divorce with your local county clerk. Your divorce attorney can help you do this. Your spouse will then have to respond to the petition within a certain number of days. 2. How Expensive Is Divorce? Finances are always a big concern when facing any big and/or legal situation, and divorce is no exception. It is impossible to predict exactly how much your divorce is going to cost you, but a general rule of thumb is that the more cooperative and uncontested the proceedings are, the less expensive the process will be. 3. Who Will Get Custody Of The Children? Understandably, custody of the children is often another major concern for spouses preparing for a divorce. The court will try to assign custody based on “the best interests of the child,” so you stand your best chances of getting custody if you can demonstrate high-quality parenting behavior. Try to avoid petty arguments, unnecessary spending, and unruly behavior. 4. Can I Deny Visitation Rights If My Ex Doesn’t Pay Child Support? Child support and visitation rights are two entirely different things, so you cannot use visitation privileges as rewards or punishments for paying child support. Your spouse can be held in contempt of court and face other legal consequences for failing to pay child support, but you cannot deny visitation rights as way of retaliating. 5. What Happens If We Change Our Minds? In some cases, the divorcing spouses may have a change of heart and wish to continue with their marriage. This can be done by requesting a dismissal form from your county clerk. If your spouse has already responded to the initial petition for divorce, he/she will have to sign the dismissal form as well in order for the divorce to be legally cancelled. 6. Do I Have To Official Grounds For Divorce? Missouri is a no-fault divorce state, which means that spouses do not have to meet any requirements in order to file divorce. 7. How Long Will It Take To Get A Divorce? In an uncontested divorce, anywhere from 0-6 months is considered a reasonable time period from the initial petition to the final rulings. If the divorce is contested or requires a trial, on the other hand, it will probably take much longer to be finalized. Contact Deputy & Mizell For Legal Representation For Your Divorce. Divorce can be challenging and highly emotional, but you don’t have to face these challenges alone. An experienced divorce attorney in Lebanon, MO will be able to help you navigate the proceedings in order to ensure the best possible outcome. If you have other questions about filing for divorce at the Lake of the Ozarks or if you would like to get started, don’t hesitate to reach out to our team.